Attention deficit disorder (ADD) and attention deficit hyperactivity disorder (ADHD) affect anywhere from 5% to 15% of the general teen population. Practically every classroom in America has at least one child who is dealing with the effects of these conditions. In this book, teen readers will learn all about both conditions, including the treatments that are available. 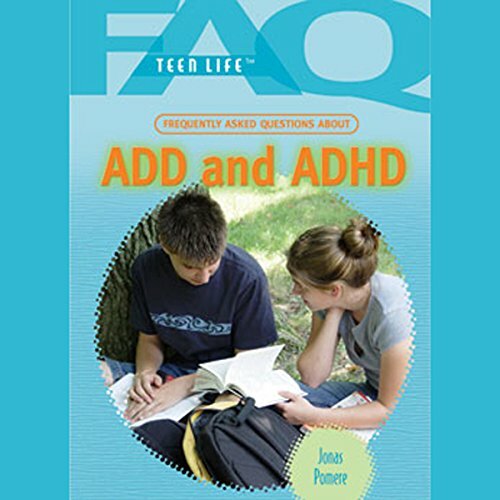 The book discusses therapeutic counseling and non medical interventions, as well as commonly prescribed ADD/ADHD medications, including Ritalin, Cylert, and Adderall. Students with ADD or ADHD will learn strategies for dealing with the special challenges they face both in the classroom and at home. The tone is friendly and nonjudgmental, encouraging teens who think they may have one of these disorders to seek help. ©2007 Rosen (P)2009 Audible, Inc.